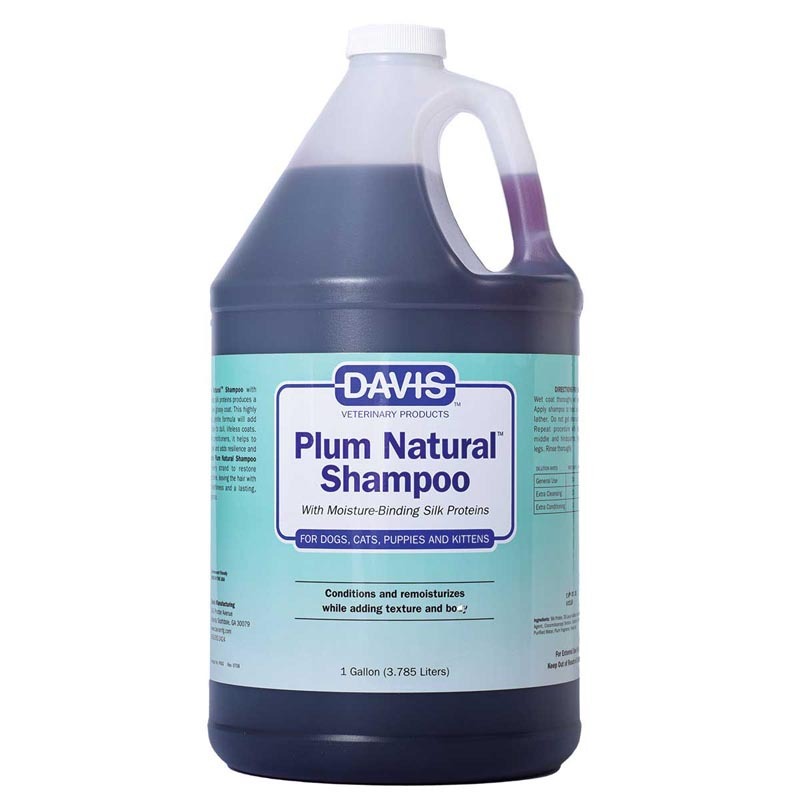 Revitalize dull and lifeless coats when shampooed regularly with Plum Natural Shampoo. Moisture-binding silk proteins penetrate every strand to restore moisture, shine, texture and body. Fortified with conditioners, it helps repair brittle hair, adding resilience and strength. This gentle shampoo is highly concentrated and leaves a lasting, pleasant plum fragrance.